The Internet technology has made promotion and trade of products and services faster and more efficient. Many business owners are heading towards eCommerce websites to sell out their products via the internet. It is one of the advanced marketing techniques that ensure both the customer and retailer to enter into a business transaction without any complications. With the online stores, customers don’t need to go to a physical store as they can get all stuff on their desired eCommerce shop, instead they can purchase anything from anywhere at any time. Therefore, many businesses want to start up a user-friendly eCommerce shop. In fact, the small or new business owners are finding an affordable way to build the mobile-friendly eCommerce site. Well, you can accomplish a dream of having an affordable online store by using WordPress themes that can make your eCommerce shop compatible for both the desktop and mobile phones. Today, we will discuss the top 10 free Responsive WordPress themes that can help you make your eCommerce store. MyStile is a clean and elegant WooCommerce theme, designed to allow you to create a user-friendly eCommerce site where you can induce your customers to shop from your online store. With this, you can create a unique design to reflect the characteristic of your products. You can also change the color schemes, as it offers countless options of color schemes. 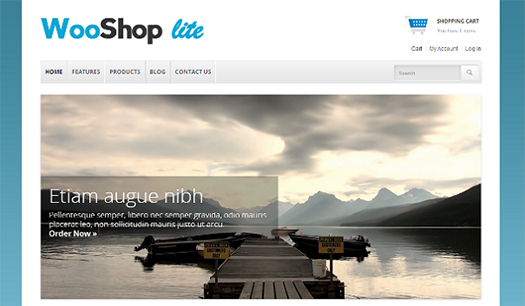 WooShop Lite is one of the best free theme, which is created to develop a mobile-oriented ecommerce shop. 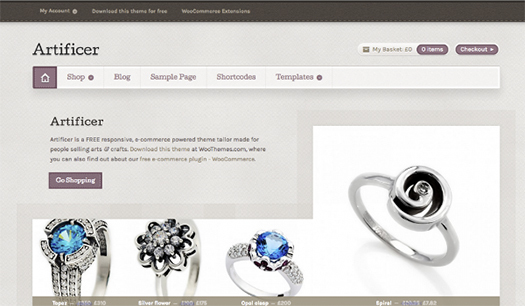 It is an ultra responsive ecommerce theme, designed for WooCommerce. A theme offers an excellent shopping experience as your user can access on mobile phones as well. WooShop Lite provides features like carousels, sliders and sidebar manager that have been tested on smart phones, tablets and desktop. Therefore, this theme has become the most popular WordPress eCommerce plugin. Artificer is a free Responsive WordPress eCommerce theme, which is built on the same WooFramework. It is a versatile eCommerce theme that offers exciting customization options that can help you change the color scheme. Now, the web customers can buy any product or service and browse your site on their Smart phones and other devices. 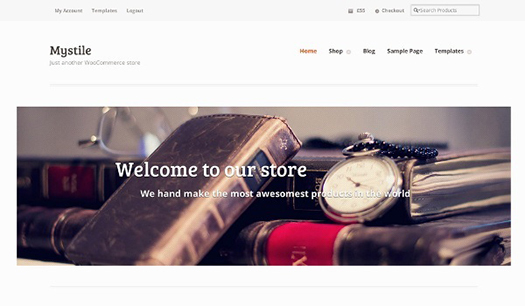 The AyoShop is a free WordPress theme, produced for Genesis Framework. The features of this theme are unlimited color schemes and well documented that makes it flexible for different operating systems and mobile devices. 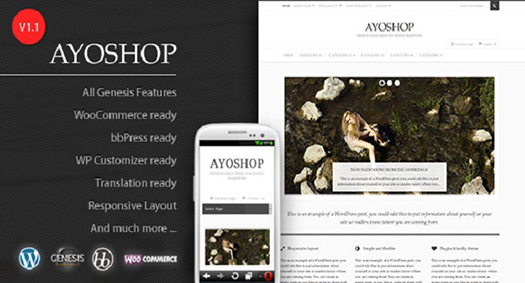 AyoShop is a simple and responsive eCommerce Child theme, which is suitable for online shops. 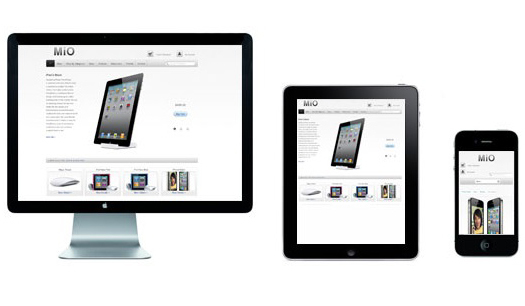 Mio is a free WordPress eCommerce theme that integrates intuitive “Apple” like style with a precise enhancement. This great theme is a compelling solution for online business. 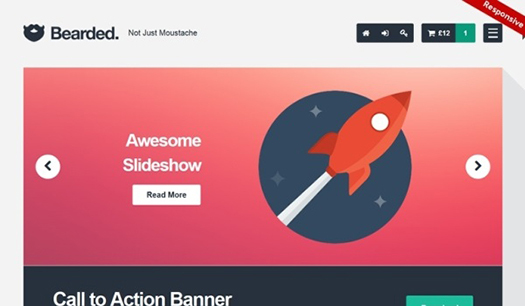 You can use this theme for making your site attractive and user-friendly. It is a responsive theme, which means that your customers can browse your site and buy products from their mobile devices. Socute is a free responsive website theme that means you can access the site on the desktop or any mobile device. It is a compatible theme that uses WooCommerce plugin to build a purely online shop, including thousands of layout options and various customization features. So, download this free theme to build your online site. 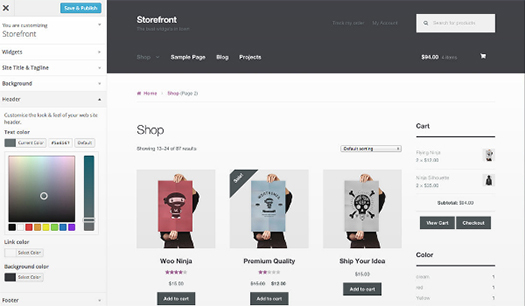 Storefront Paper offers a clean and minimal design with several basic features. It was created by using the _s theme from Automattic, so it has all the advanced features that an advanced WP theme should have, including all the essential files, post formats, functions, etc. Bearded is a free WordPress theme, offering a smooth and simple design that is clean and easy to navigate. It is a responsive CSS3 and HTML5 eCommerce theme that supports all post formats. A theme provides simple layout and unlimited color schemes. Through this, you can design your eCommerce shop as per your needs. In fact, it also allows you to create a professional portfolio to represent your work. 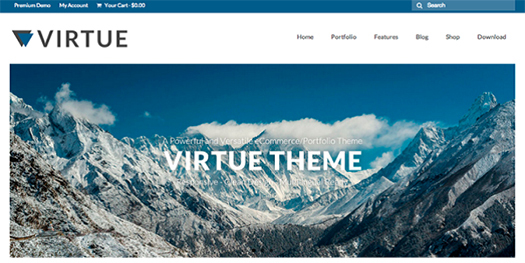 Virtue free theme is one of the popular WordPress themes that are downloaded with plenty of premium options. With this, you can customize your site by adding advanced features. It offers a clean and sleek grid layout to allow users to instantly find what they are looking for, without the need of opening the tabs. Virtue theme also features a Google fonts, home slider and widget area. Its responsive feature makes it accessible for mobile visitors. 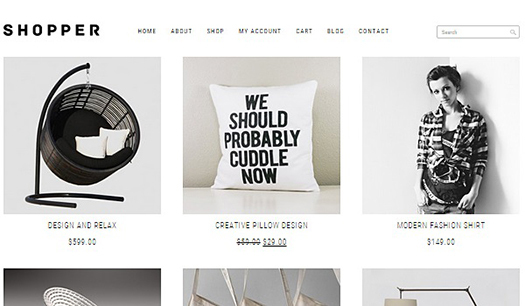 Shopper is a great eCommerce theme, which is powered by WooCommerce plugin. This WooCommerce Responsive WordPress theme is ideal for any eCommerce website. It offers clean and simple design and minimal layout that makes it mobile-friendly. So, we have discussed the top 10 Responsive WordPress themes that can help you create a mobile-friendly and striking eCommerce website. Themes that highlighted in the post are free, and you can simply download it. If you have anything to say, please share your opinion in the comments section. Your opinion matters, unless it is a Spam. If you enjoyed this post, please consider: linking back to it, subscribing by email to future posts, or subscribing to the RSS feed to have new articles delivered to your feed reader. Thanks! Lucy Barret is blogger by hobby and WordPress Developer by profession. She works for WPGeeks Ltd. She is an expert of converting HTML to WordPress theme and handles all WordPress customization projects. She loves to share her WordPress tutorials and hence communicate with other bloggers. You can follow her company on social media networks like Facebook, Twitter and Google+. 59 queries in 0.328 seconds.